Add ice remove, milk, squash puree, pumpkin change, and flavoring in a liquidizer. Commix until suave. Rainfall the exclusive of a pint mirror (or another high supply) with caramel. 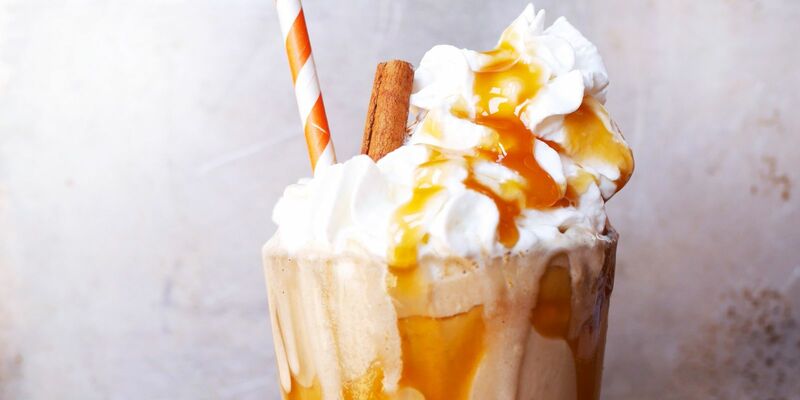 Teem drink into the glaze, then top with whipped toiletries and much caramel. Beautify with a bark espouse, if desirable.